The Huskers got a break from the Hawks Championship Center on Thursday as the weather allowed the team to practice in Memorial Stadium for the first time this spring. While the team got a lot accomplished during winter workouts, the collective stamina of the time isn’t quite where it will need to be to run Scott Frost’s system. On Tueaday, Coach Scott Frost said they’re getting to the point in spring ball where a depth chart is starting to emerge and reps are beginning to get divvied up accordingly. However, Beckton said he’s still sorting through that tight ends group that brings such little experience to the table. Jack Stoll, the only one of the group who has caught a ball at the collegiate level, has emerged as the leader of the pack but the picture is wide open after him. Physical ability aside, Beckton said Stoll has started to take on a leadership role despite being just a redshirt sophomore. In fact, Beckton wants to see even more out of him in that regard. Allen and fellow redshirt freshman Kurt Rafdal, at 6-foot-8 and 6-foot-7, respectively, bring a unique dynamic to the offense that the coaches didn’t have available to them in Orlando. Jordan Akins was Central Florida’s tallest and most productive tight end, and he is only 6-foot-4. 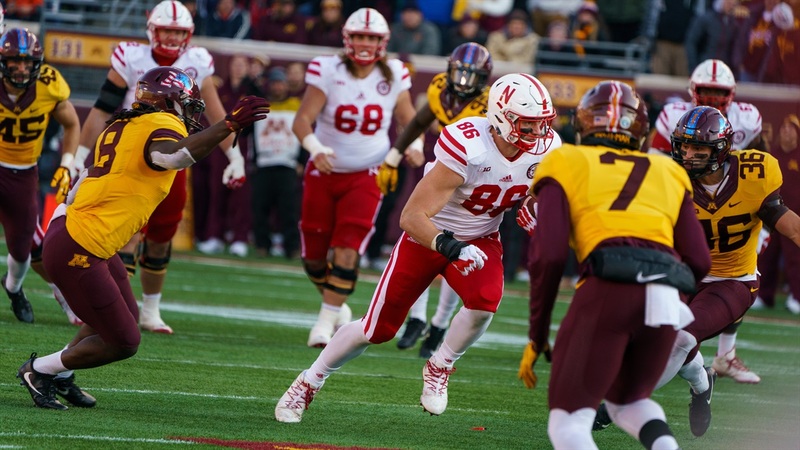 Perhaps the progress of the group can be attributed to a great head start the Huskers got after winter conditioning but prior to the start of spring ball. The coaches threw the whole playbook at the team and sent them on their way. Well, they weren’t totally alone. There was one player who knew what he was doing. That practice time with Vedral plus plenty of tape from Central Florida games to study set the group up to get off to a running start once spring began.